If you wander off on your own on an abandoned estate you might just bump into a zombie. Luckily they had just eaten so I was able to escape. A zombie with kind eyes. Yikes!!! Re lookforlonger - I only got 52 so in the running to win an ipad. Fantastic shot. I'd say it's a bit frightening but, I must admit he has rather mellow and friendly eyes. 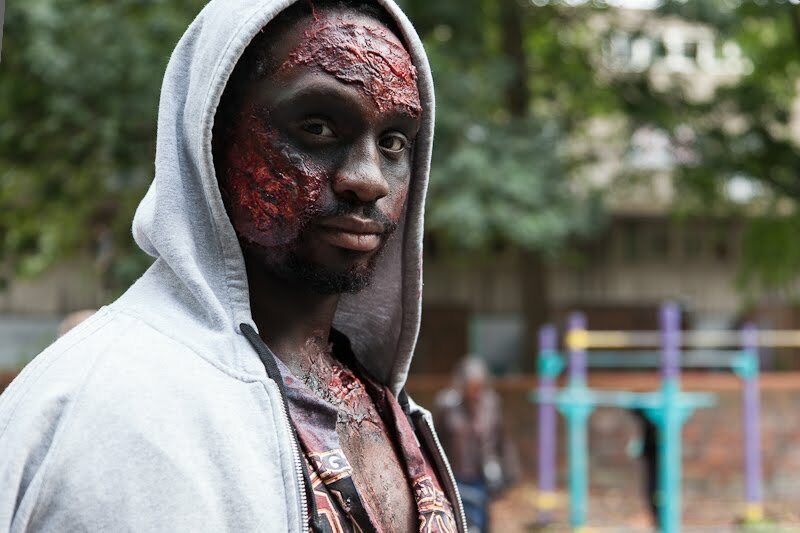 I never really 'get' the zombie craze - this one looks far too handsome despite the makeup job. LOL - my husband is obsessed with zombies. Everywhere we go he determines whether or not the building is safe from a zombie attack. Sigh. I am predicting nightmares tonight . . .